6.00 dollars shipping fee within the continental US. Free shipping on orders over 50 dollars within the continental US. Please, contact me for shipping options outside of the USA. 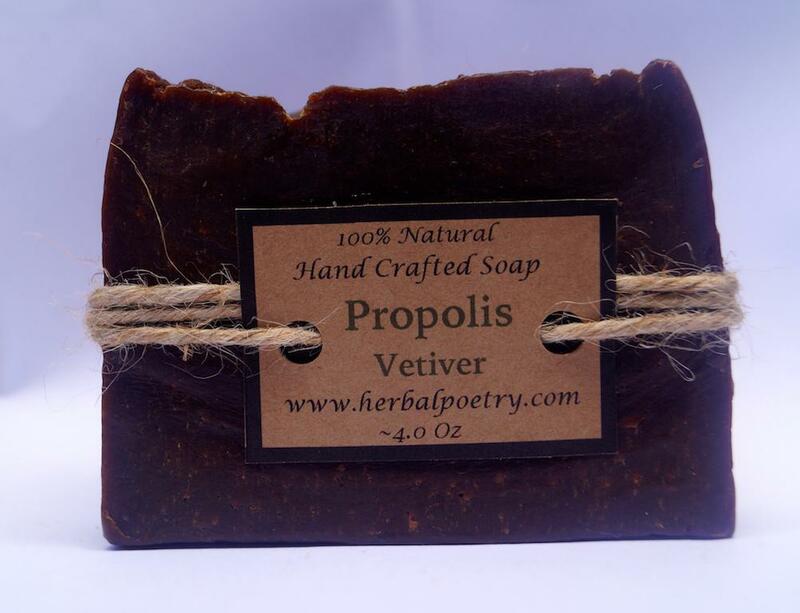 This soap bar features Vetiver Essential oil and the bee products Beeswax and Propolis (Bee balm). Perfect for irritated and itchy skin. Filtered Water, USDA Certified Organic Coconut oil, Olive oil, Palm oil, Raw unrefined African Shea butter, Castor oil, Lye, distilled water, Propolis and Vetiver essential oil.